This carbon monoxide detector should be installed in any garage, workshop or household. The measuring range is divided into 3 different concentration levels: 50, 100, 250 ppm and an alarm is given by an acoustic and optical signal. An LED light indicates a low battery level. 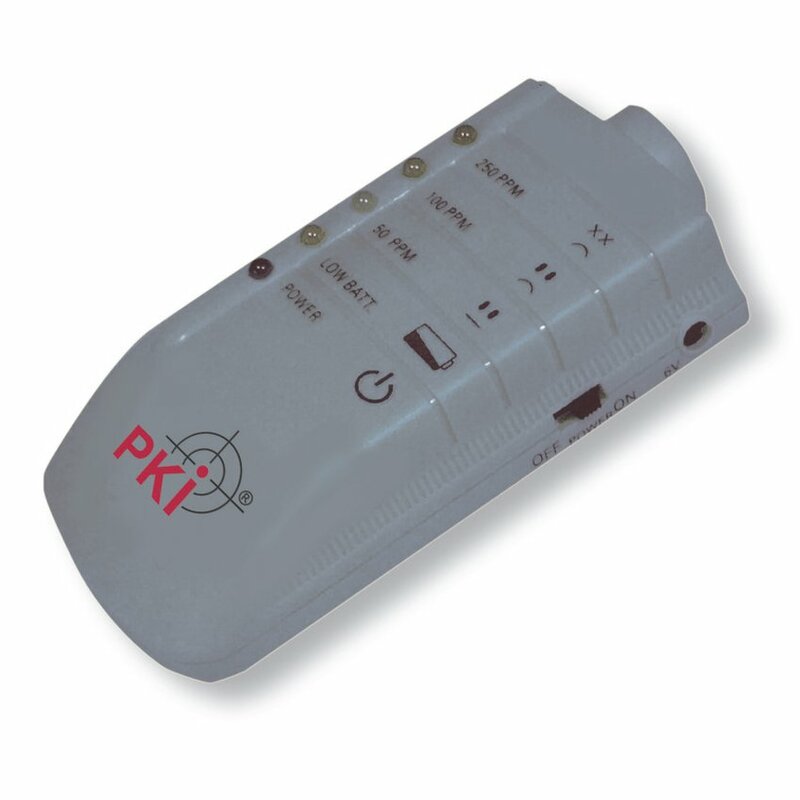 The use of the PKI 8520 is as easy as can be. Turn on and ready to work. The built-in sensor permanently examines the absorbed air and analyses it by means of its microprocessor. In case that the gas concentration found is too high, the corresponding alarm will be given.